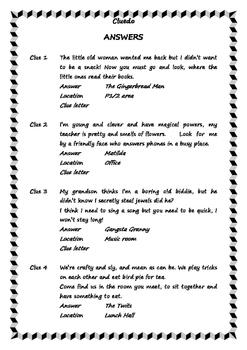 Children have to decipher the clues to find out who stole the head teachers books. 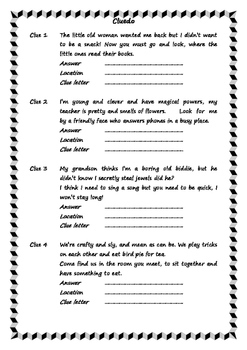 Each clue is in 2 parts: the famous book character the children are looking for, and the location to look. 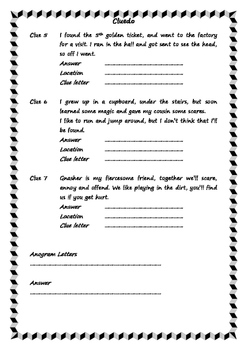 On the back of each clue (a laminated picture) I wrote a letter. 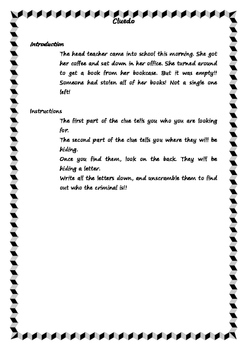 The letters together made an anagram of the person who stole the books (a teacher in the school).